How many of you have ever tried feeding broccoli to a little kid? If you are thinking, ‘Yup, been there, done that!’ Then I’m with you. We sat down at the table, said a prayer over the food, and I started up a conversation about politics. I raised my eyebrows in astonishment. “What?! Really? You like it? “Mmm Hmm!” he says as he’s shoveling spoon fulls into his mouth. So here you have it! 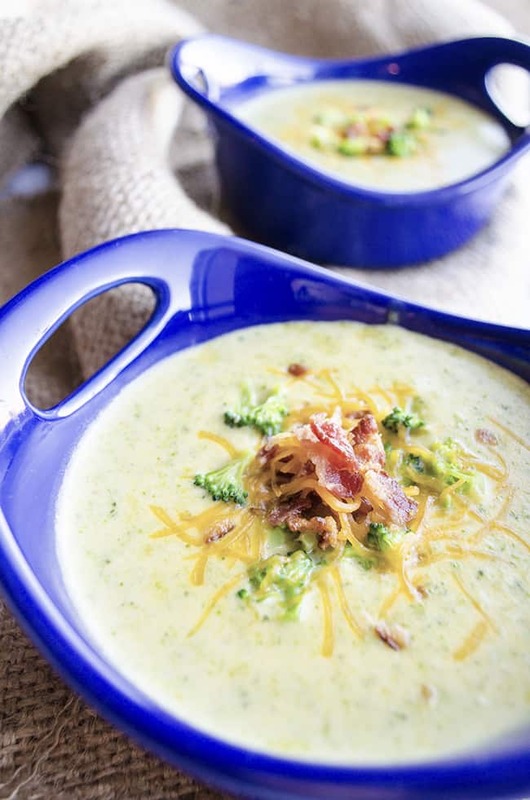 Creamy Broccoli Cheddar soup. 100% comfort food and kid approved. What I thought was especially interesting about this recipe was that the broccoli stems were peeled and sauteed with the onions. 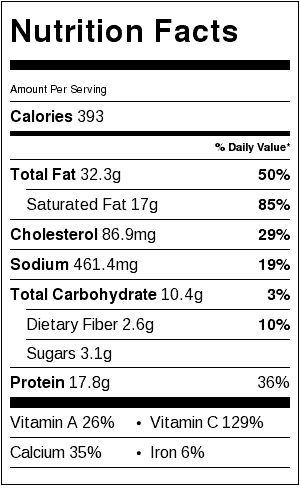 Turns out that those stems really add a rich broccoli flavor, plus the added nutrients that come from having a larger amount of broccoli in your serving. Bowls were licked clean after this meal. Leftovers~forget about it. Try this recipe. It’s creamy deliciousness! And please let me know how it went in the comments below. I have a new weapon in the fight to get my kids to eat their veggies. I hope it’s helpful for you as well. Melt the butter in a dutch oven on the stove top. Add the onion and cook until soft, about 5 minutes. Clear off a little spot in the center and add the garlic. Cook the garlic for about 30 seconds in the center to 'bloom' the flavor, then mix it in with the onions. Add the broccoli stems and cook, stirring often, for an additional 5 minutes or until bright green. Stir in the broth and simmer for 5 minutes or until the broccoli stems are soft. 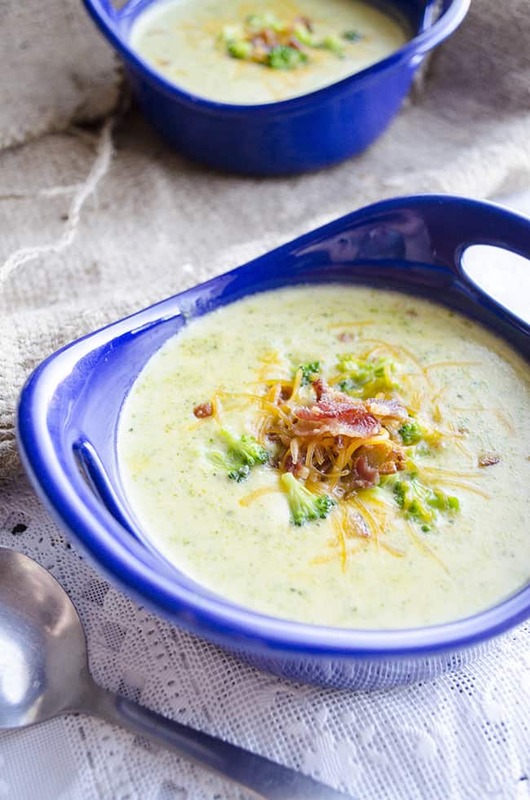 Add the broccoli crowns, cream and nutmeg. Simmer for an additional 5 minutes. 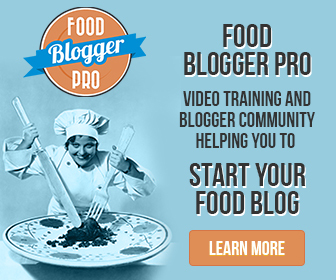 Puree the soup in a blender or with a hand held emulsifier. Bring to a simmer over medium heat. Stir in the Cheddar cheese until melted. Stir in the white pepper and season with salt. 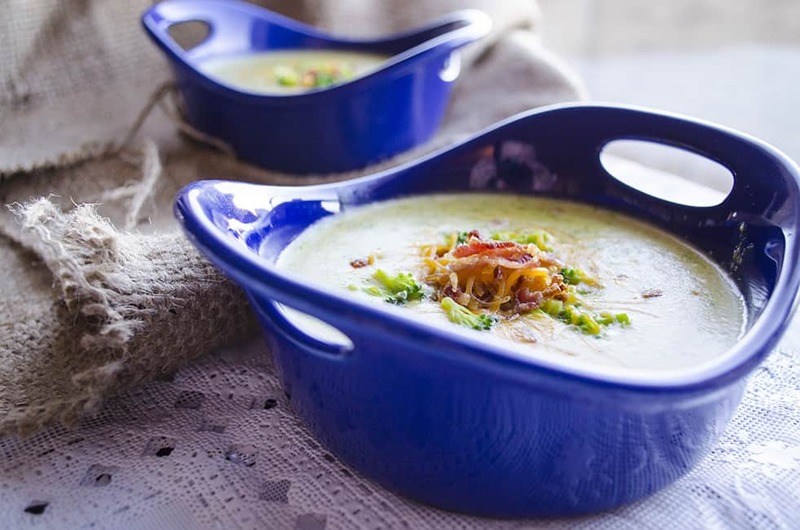 Serve with bacon crumbled over the top and garnish with extra cheese if desired. This sounds wonderful. 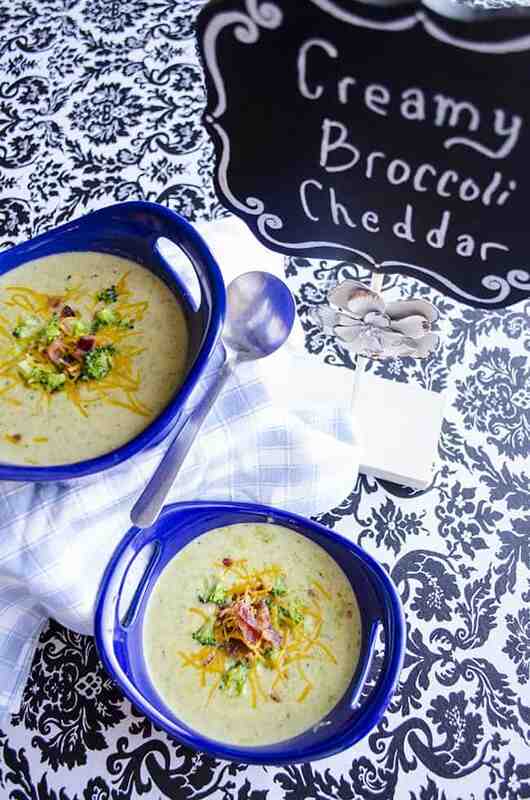 I've been wanting to make broccoli cheddar soup for the longest time. Thank you for the recipe.